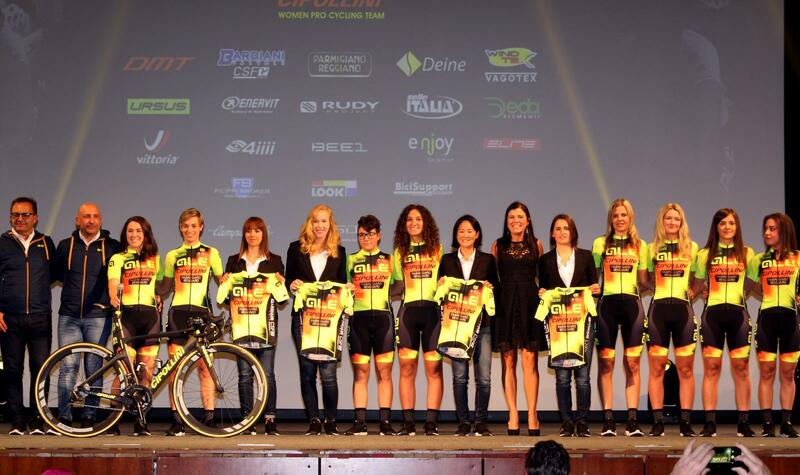 The official Team Presentation took place tonight in occasion of the 2018 Gran Galà Alè, in the Theatre of Palazzo della Gran Guardia in Verona. The twelve athletes who will compone the roster have been on the stage with the Team president Alessia Piccolo and the Staff and they have demonstrated their enthusiasm of being part of Alè - Cipollini, at the end of an unforgettable 2018 (15 victories overall) and to start the new season. The Technical Staff has been also presented: the Team Manager Fortunato Lacquaniti is with the new Sports Director Giuseppe Lanzoni, who could present himself to the athletes and the Team management in the past hours. The Roster 2019 is composed by twelve athletes: many newcomers and even many, important confirmations: Chloe Hosking, Commonwealth Champion 2018, will be the sprinter and Team Captain and she is ready for a relaunch: “2019 will be a very important year, the target is to win as many races as possible with all my teammates.” The Italians Soraya Paladin and Anna Trevisi, the German Romy Kasper and the young Dutch Karlijn Swinkels have been confirmed with Hosking. The newcomers are Diana Peñuela, Eri Yonamine, Marjolein Van’t Geloof, Jelena Eric, Nadia Quagliotto, Jessica Raimondi and Giorgia Bariani: Giorgia will debut as Elite this season after taking the silver medal in the Road Race and Individual Time Trial of the Italian Junior National Championships.